When you succeed with repairing your old home’s original wooden windows, you preserve a piece of your home’s proud heritage. But how exactly can you tackle your window restoration project with proper knowledge and confidence at your disposal? Glenn Palmer will lead our “Knowing Your Home: Hands-On Window Repair” workshop on July 19. LakewoodAlive will host Knowing Your Home: Hands-On Window Repair on Thursday, July 19, from 7 to 9 p.m. at Lakewood Hardware (16608 Madison Avenue). The ninth workshop of 2018 for this popular home maintenance educational series will cover best practices for repairing and performing maintenance on your home’s aging windows. 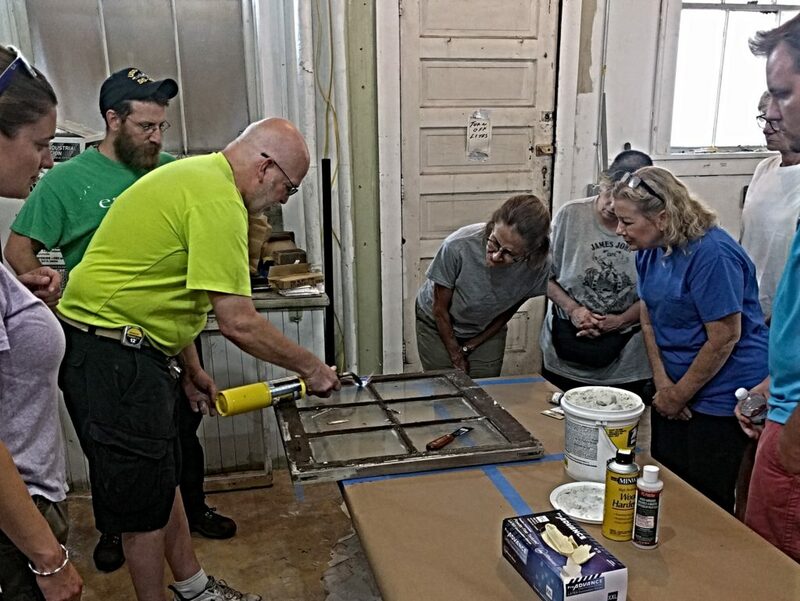 Glenn Palmer, owner of Lakewood Hardware, will lead the evening and work with class participants to identify components of a window, check window sashes and learn to make common repairs, including sash repair, glazing and sash cord repair. Repairing a window is not only energy efficient and environmentally friendly, but it also helps to maintain the historic look and feel of your wonderful old home. Rotted frames, deteriorated sashes and leaky sashes can generally be fixed in window restoration – even a rotting window isn’t necessarily too far gone for restoration. Class size is limited to 25 participants, and this workshop is currently sold-out. To reserve your spot on the waiting list for “Knowing Your Home: Hands-On Window Repair,” click here or call 216-521-0655.